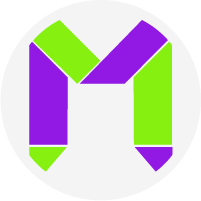 MOSAIK 4C3 is a platform dedicated to information indexation, access, visualization, exploration and discovery. The original approach of MOSAIK 4C3 combines method and tools, with the efficient Arcateg by Archive17 method, the Cogniva C3 tool and the MOSAIK platform edited by Mosaik.ly. Arcateg is a revolutionary method conceived by Marie-Anne Chabin in order to control information at risk in the company. Its main concept is: Dated Content + Risk in Duration = Lifecycle and Conservation Rule. C3 is an information governance platform designed to provide the company with a simple and easy metadata tagging and classification process for users, while at the same time enforcing compliance with organizational policies. 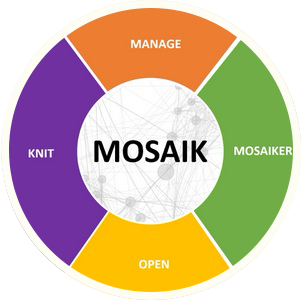 MOSAIK links multiple structured or unstructured data sources and enables users to explore and discover significant information through our visualization tools. The originality of MOSAIK 4IX0 is to provide linked 1D-2D-3D engineering information, directly in the browser and without plug-in. instant3Dhub is a solution developed and maintained by Fraunhofer IGD / Visual Systems Computing System Group, specialized in the field of virtual/augmented reality and visualization technologies. MOSAIK links multiple 1D, 2D and 3D data sources and enables users to explore and discover significant information through our visualization tools. Our software solution is an intersection of Digital Information Assets Management and Visualisation-based Data Discovery, designed to help companies reveal their Digital Assets. The platform allows end-users to easily explore complex, BigData-like environments. MOSAIK helps them to access significant information and to understand it quickly while also providing semantic rendering. Our solutions are scalable and can be used either On Premise or Saas. The platform is currently available on 7 languages: English, French, Italian, Portuguese, Spanish, Romanian and Russian. Many thanks to Maud, Mickaël and Yulia for helping us with the translation!